This 4-panel wallet and disc design were inspired by the musician's heritage, as well as the Indian influences of the music. Many layers of texture and pattern in rich, saturated colors were used to evoke the depth and intricacy of the recordings inside. 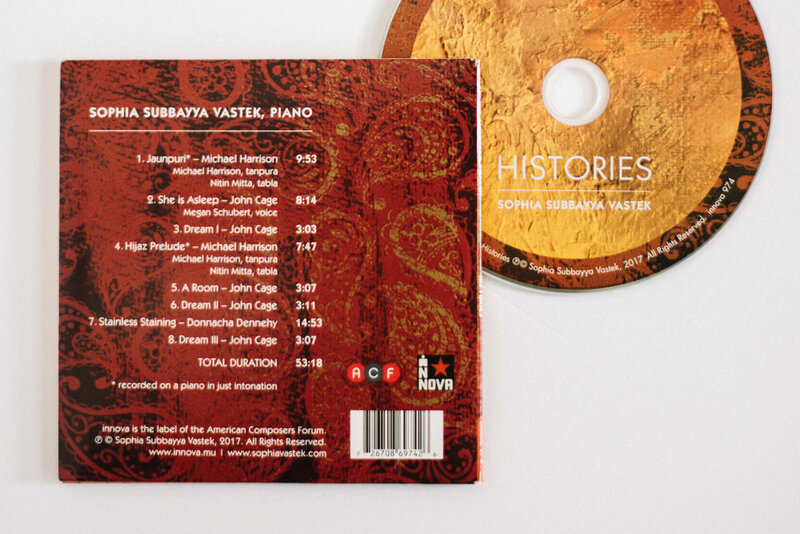 Sophia Subbayya Vastek’s debut album Histories was released on innova Recordings with music by Michael Harrison, Donnacha Dennehy, and John Cage. 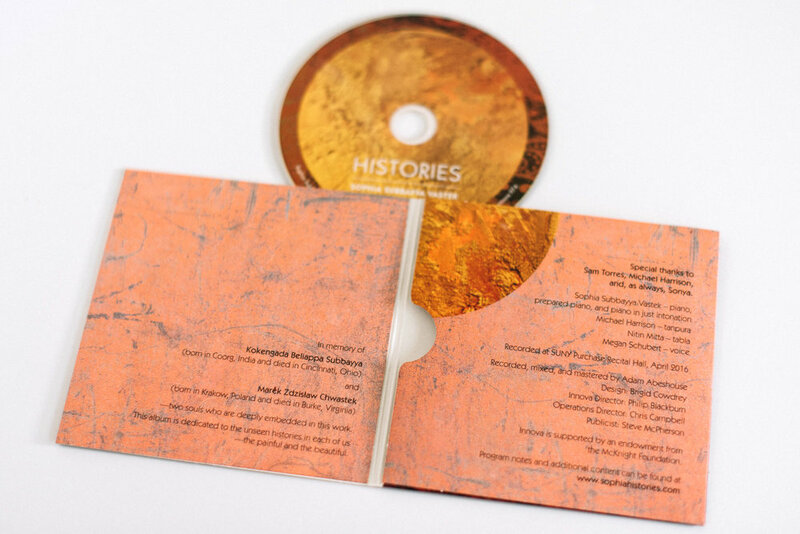 Produced by multiple Grammy-winning engineer Adam Abeshouse. 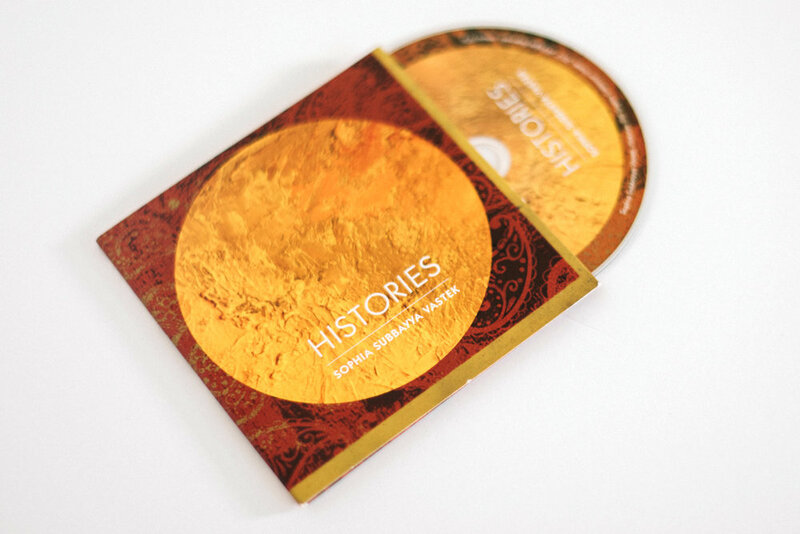 Learn more at innova Recordings website. Photography by Roma Vista Photography.